Hand pain may be originated by different reasons: rheumatic hand, trigger finger, tendon injuries, arthrosic hand, fractures or ligament injuries are some of the most common. Even though each one of this disorders has its own specific characteristics, applying Capenergy in hand injuries improves this wide symptomatology related, as a summary, to inflammation and pain. Improvement is seen both subjectively and objectively since the first three sessions of therapy. 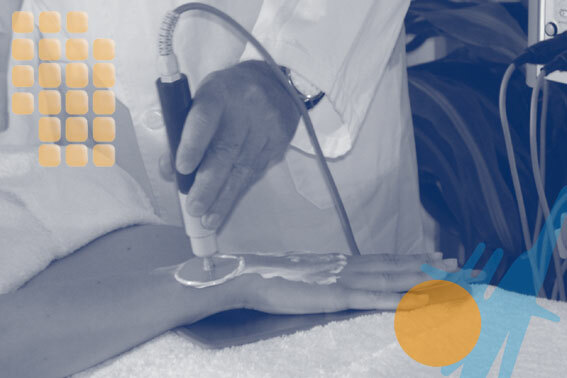 The most extended use of hyperthermia device is the thermic system, but the cases involving rheumatic hand need another type of treatment: you should highlight the electromagnetic field flow in athermic system instead of experiencing a temperature increase. Capenergy machine offers the patient this opportunity, draining the toxins and stopping inflammation.